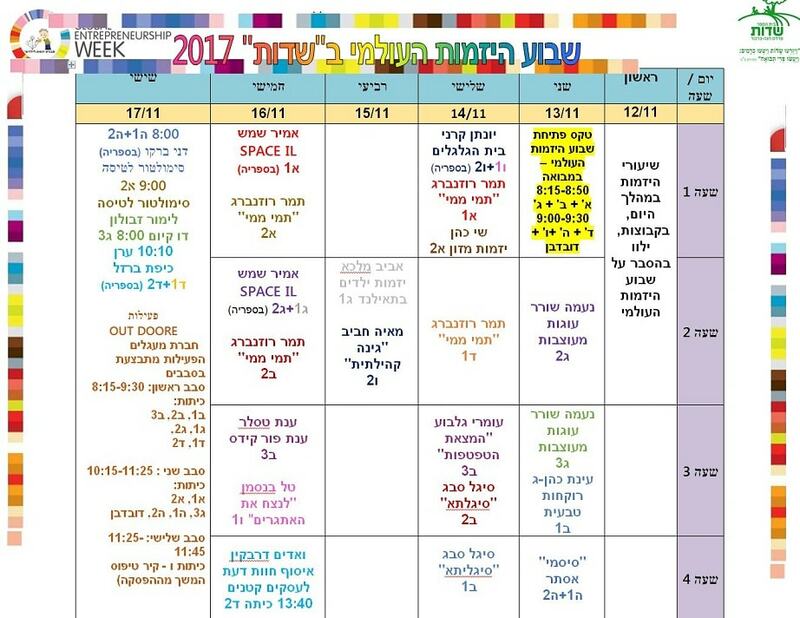 Global Entrepreneurship Week 2017 is held all over the world during the third week of November and in Israel between the dates 12-19.11.2017. 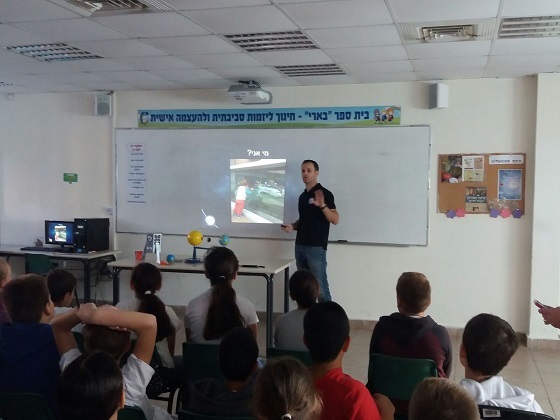 This year, for the first time, the Jewish school Hebrew Academy joins the schools in Israel and mark the Global Entrepreneurship week in an online lecture of Ofer Forrer, a volunteer of the Israeli spacecraft. 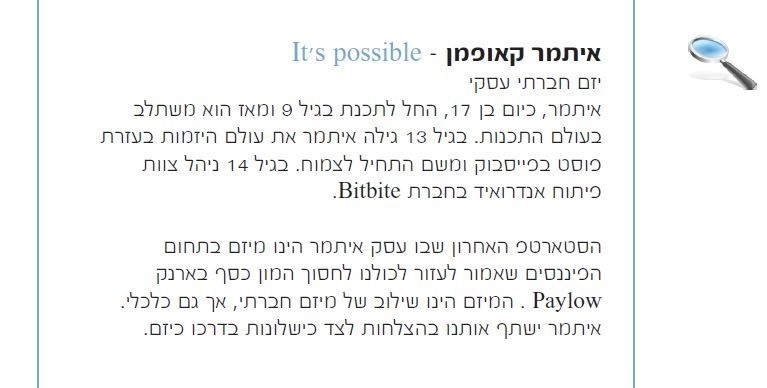 In his lecture, Ofer explains about the competition sponsored by Google, how Israeli joined this competition and its odds of winning it. 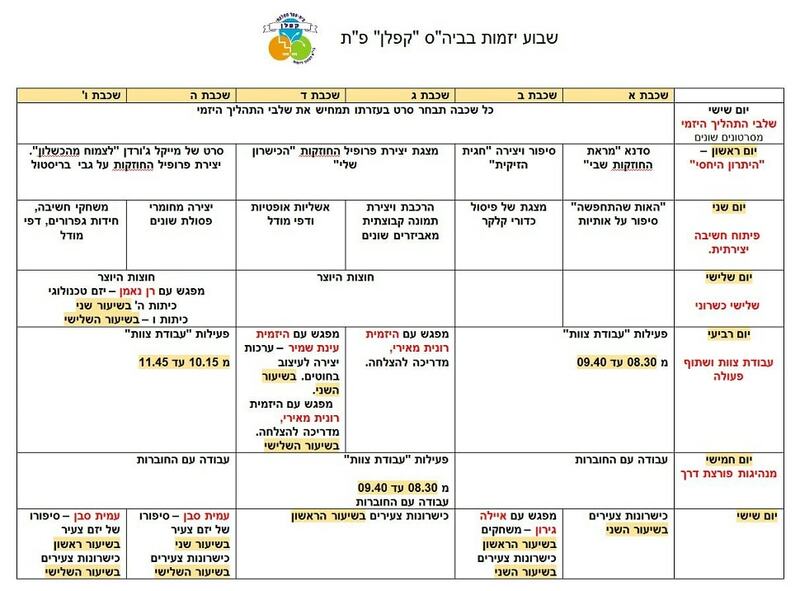 Furthermore, in his lecture, Ofer Shares the development process of the first Israelis Spaceship to ever land on the moon aiming to inspire the students in Hebrew Academy ? and invoke interest in science, space and technology. 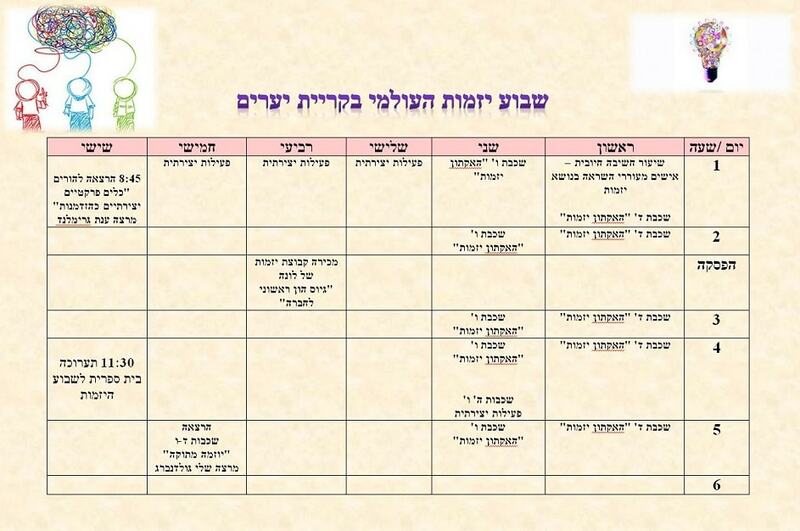 This is the third year that the "Ilanot" School marks the Global Entrepreneurship Week. Sharon Mualem was among the guest entrepreneurs who came to the school. 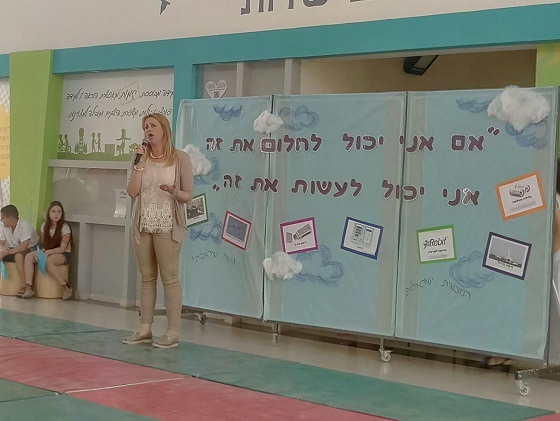 Sharon told the students about the social project that she established in the name of "Tal of Hope", which helps children in need of a kidney transplant. She also exposed them to the process of developing the EVT project, a sports website that allows everyone to train from home, as if they were in the gym. 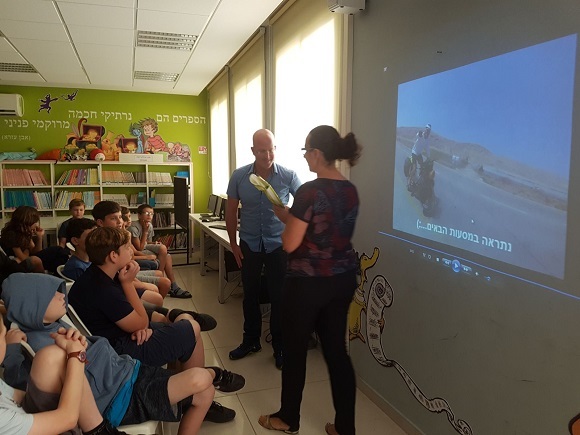 Tzuriel King - in a lecture to the "Ilanot" School students about a 1,200 km bicycle trip for the purpose of food to those in need and homeless people. 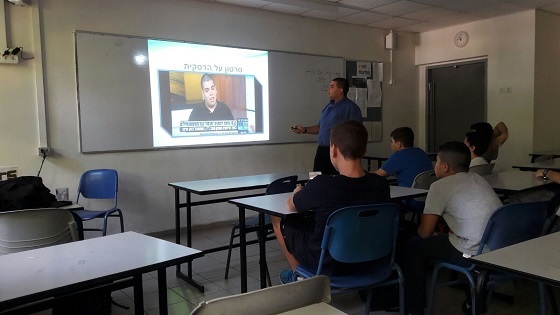 Avner Gal, CEO of Iridion, lectured to students at the "Ilanot" School in the Global Entrepreneurship Week. 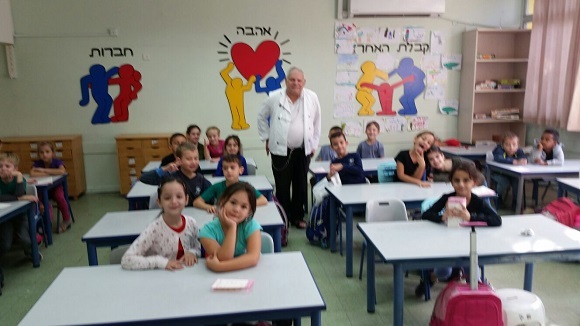 Yogev Peretz - conducted a workshop for third graders at the "Ilanot" School with balloons and told them how he became an expert in creating joy through balloons, following an illness that he experienced. 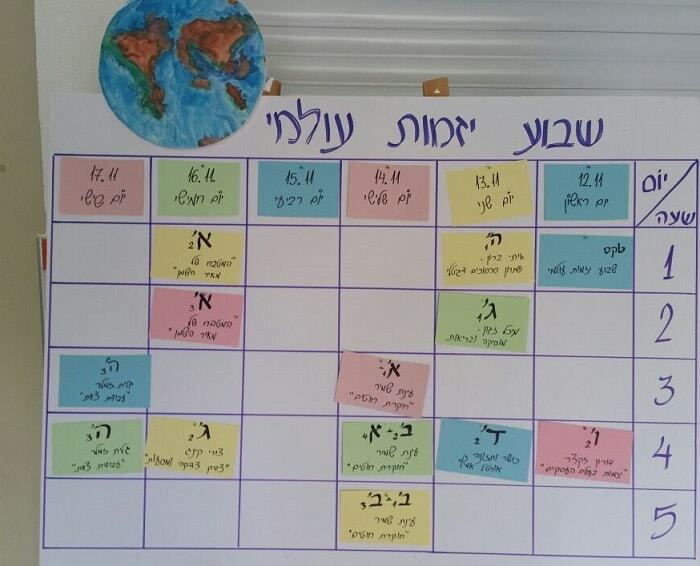 This year, as in the preceding years, "Be'eri" school in Netanya denotes the Global Entrepreneurship Week. -	An opening ceremony lead by the Sustainable Leadership class, along with the school choir and the Sinkoffa Entrepreneurship Group. 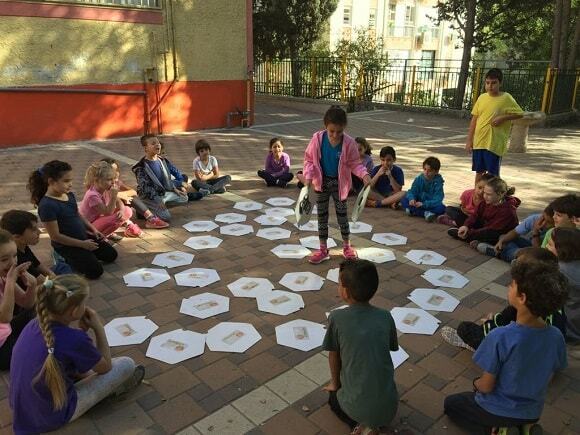 -	6th graders educated 2nd graders on: Entrepreneurship ? Games of Old Times. 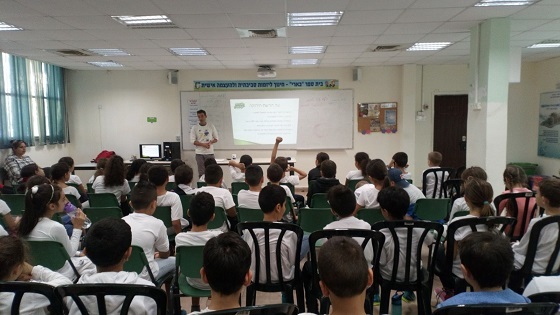 -	During the week Entrepreneurship classes were held. -	Students lectured on a variety of initiatives and entrepreneurs. 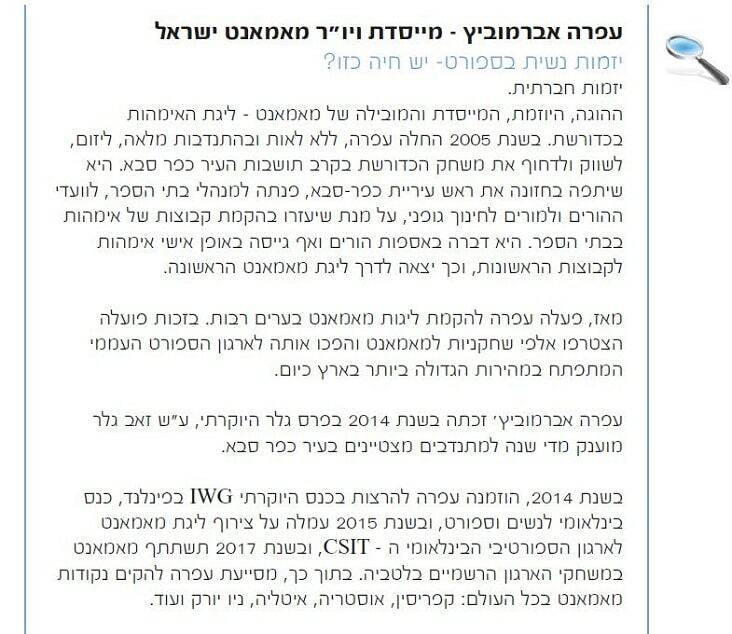 Yair Greenberg - a volunteer from SpaceIL. 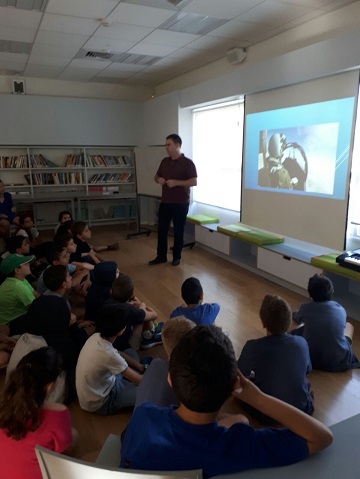 Fifth graders heard his lecture about an international contest sponsored by Google Inc. to launch a spaceship to the moon, and how SpaceIL aims to launch such a spaceship. 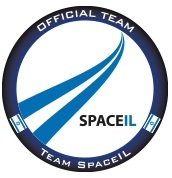 SpaceIL wishes to make a contribution to Israeli society by promoting scientific-technological education and encouraging scientific novelty in Israel. 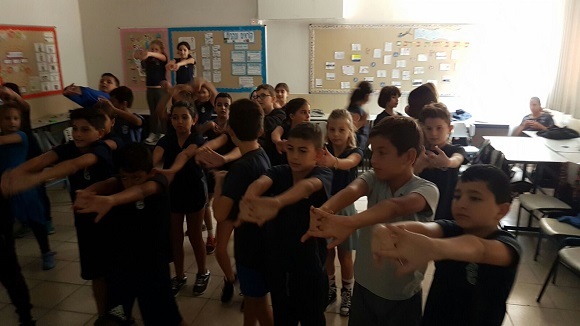 Anat Farkash told 3rd and 4th graders about a social enterprise that she initiated dubbed "Innocent Fruit Garden" ("Bustan Tom"), on the Carmel coast, in memory of Tom Farkash, who was killed in the Second Lebanon War. The orchard fosters organic agriculture, through which it imparts values of personal responsibility, giving to the community and respecting the environment. 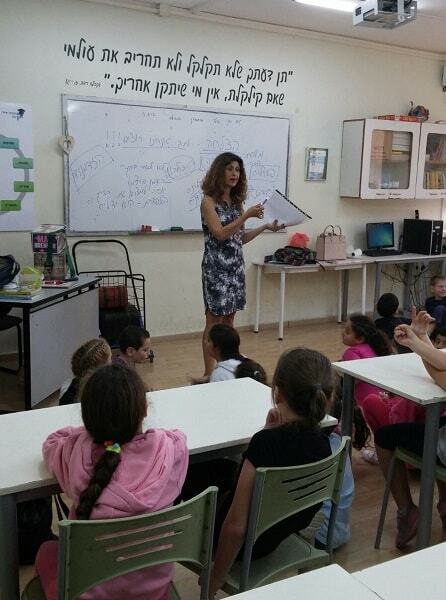 Navot Inbar from the "Green Network" lectured third and fourth graders on green entrepreneurship. 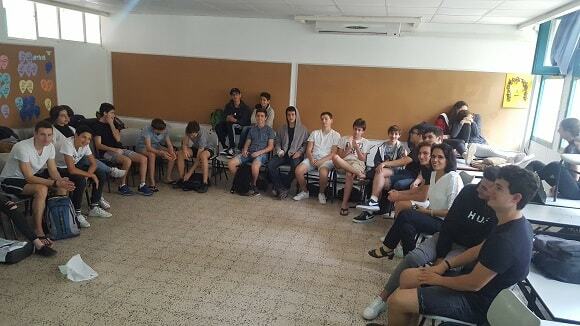 In the lecture, the students understand the meaning of green entrepreneurship, the requirements of an environmental initiative, get to know a number of projects from Israel and around the world, identify common principles among the initiatives, and examine the role of the entrepreneur as an environmental-social leader. 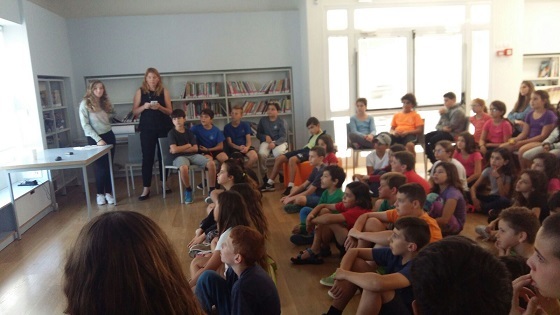 Malka Aviv shared with the fifth and sixth graders the app for travelers in the world. Which allows you to get information about places, people and events in different places around the world. 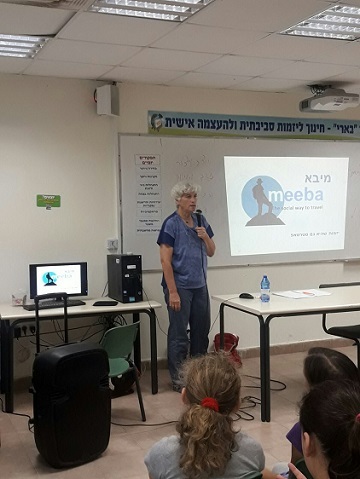 Ofra Abramovitz, founder of "Mamanet", shared with the fifth and sixth graders the story of the newcomb ball League which is intended for mothers, that she founded in 2005 on a voluntary basis. 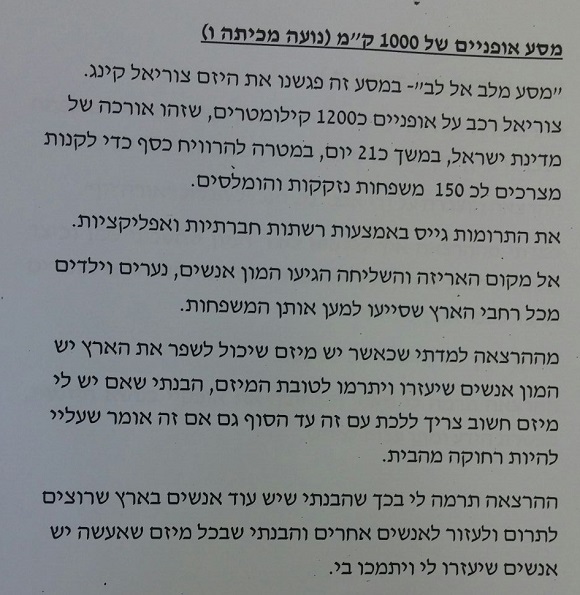 She began in her city of residence - Kfar Saba, for that she recruited the mayor, mothers and parents' committees. 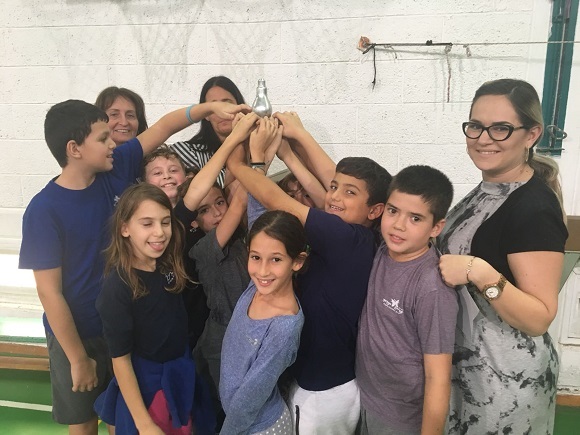 Since then, thousands of mothers have joined Mamanet and played newcomb ball, and Ofra continues to develop Mamanet's circles of influence and promote it in Israel and around the world. 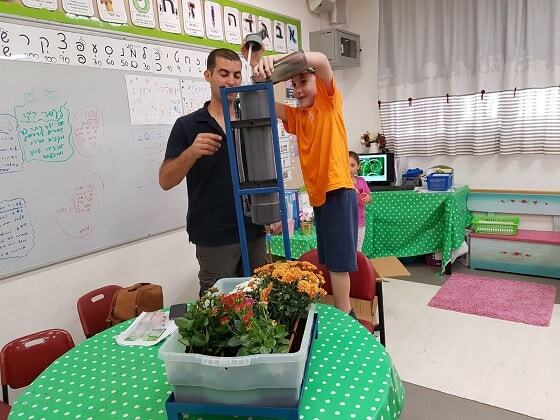 Maayan Kapah, a mother of a first grade pupil, shared with the fourth grade students the "Butterfly Garden" project and her book on the subject. 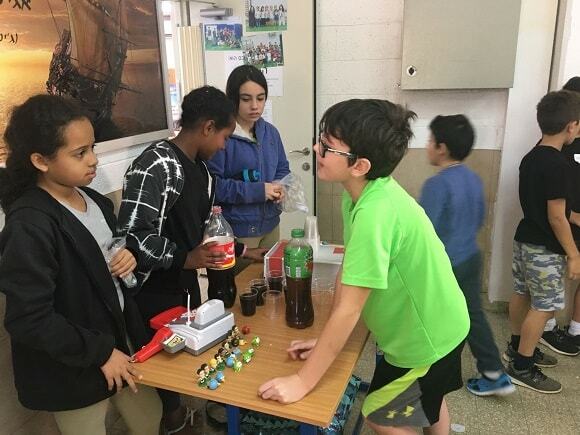 The "HaYovel" School joined the schools marking the Global Entrepreneurship Week for the first time. 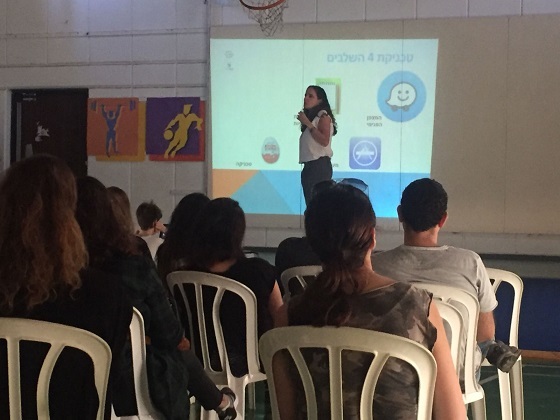 The school invited the parents and grandparents to come and enjoy the lectures that the students will hear from lecturers who are guest entrepreneurs, and from the lectures of sixth graders who participate in entrepreneurship classes that will be given to fourth and fifth graders. 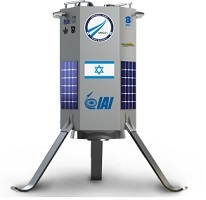 Israel is competing in the global competition Google Lunar XPRIZE and will soon launch the first Israeli spacecraft to the moon. 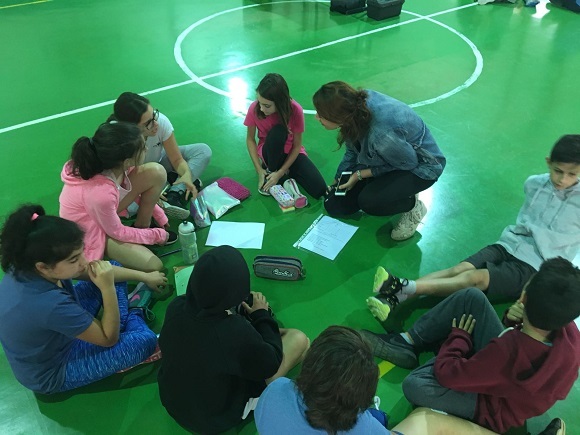 The spacecraft project volunteers come to the schools and share with the students the dream and implementation with the aim of encouraging children to become interested in science and space exploration. 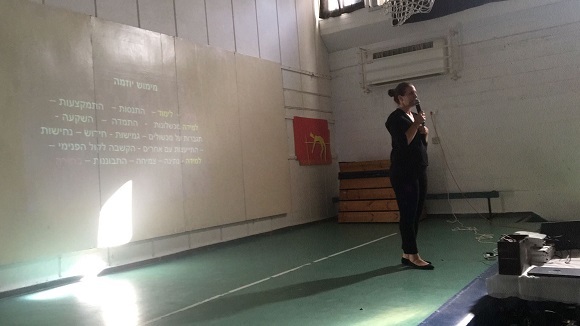 Yehudit Ovitz speaks in her lecture about "how I became from being a rejected child from an ultra-Orthodox family that does not know the Internet to an Internet entrepreneur and lecturer in the world and in Israel". The purpose of the lecture is to inspire and give practical tools for entrepreneurship. How to start using the tools around us? Why is the Internet the best thing there is? And how do we make money from our knowledge? 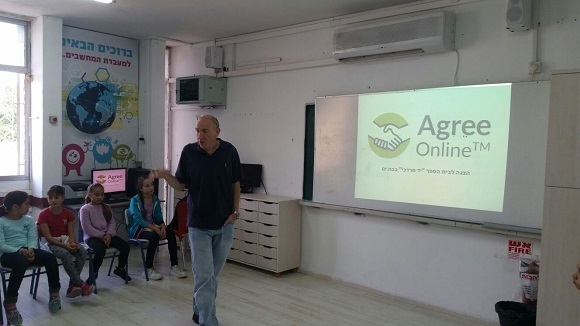 Doron Zexer - Doron is a serial social-business entrepreneur who now leads the activities of the Mifalot Education and Society Association, and he spoke with the pupils regarding this subject. 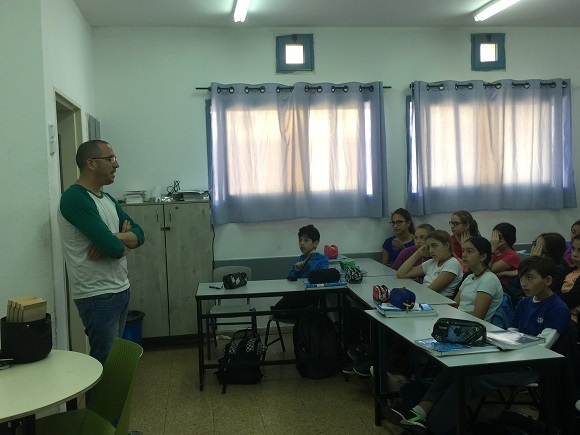 Students from grades 7 and 8 participate in an elective course on entrepreneurship under the direction of Ze'ev Schneider. 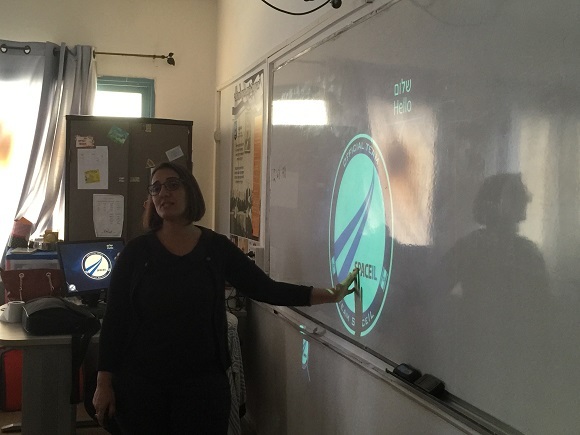 In the Global Entrepreneurship Week, the students heard a lecture by Gadi, a volunteer of the spacecraft project, who shared with them the ambitious project of Israel to land a spaceship on the moon and win a competition on behalf of Google. The students also heard a lecture by Amit Saban, a social entrepreneur. Amit is a boy who was a victim of online shaming by the school students and for several years he has been working to eradicate the phenomenon through lectures, network activity, and "Youth for Youth" organization that he established. 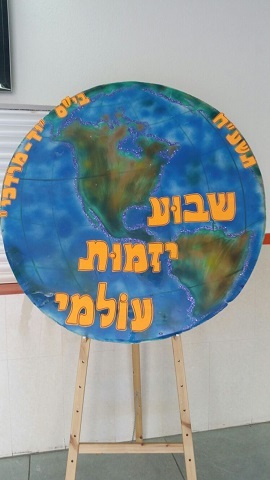 At the "Yad Mordechai" School in Bat Yam, the Global Entrepreneurship Week is already a tradition. This year, too, the school hosted entrepreneurs from different worlds of content who shared their process with the students, from the concept stage through the challenges to the implementation. 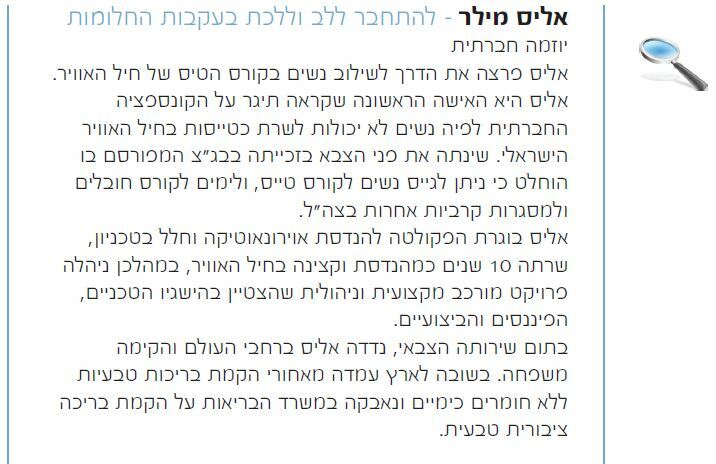 Einat Shamir - Einat is a researcher of yarns, selling different kinds of yarns and creating from them decorative pieces and useful works. 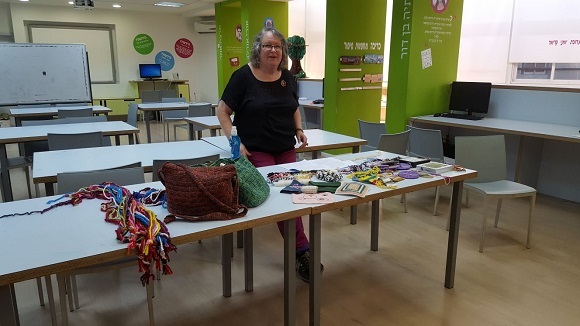 Einat shares with the students how she came to work in the field, what can be done from different threads, and how one can make a living from yarns. At the end of a fascinating lecture, the students participated in a hands-on activity in that was combined with yarns. 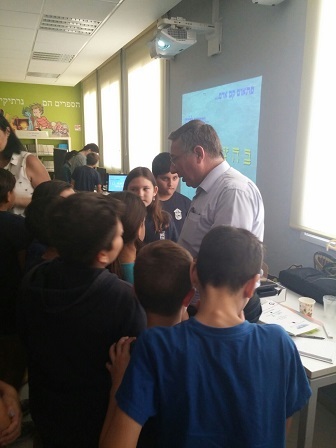 "I had a lot of fun today at the "Yad Mordechai" school in Bat Yam as part of the Entrepreneurship Week. This is the third year I have been to this charming school during the Entrepreneurship Week. 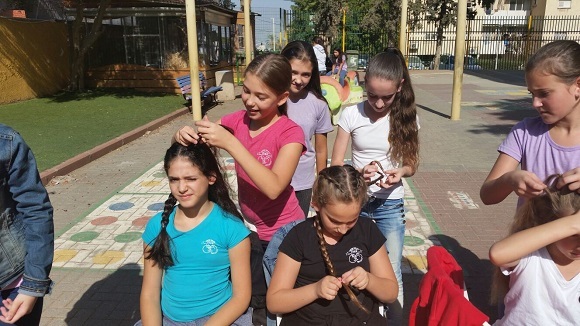 I told about my business and the profession I had invented - the study of threads - and at the end of each lesson, the children scored laces in groups within the framework of the "human fabric", a bonding experience of shared creation I have developed. Michal Zagon - Michal is an entrepreneur in the field of music and health, a writer, poet and deals with regulation and government relations. As part of her entrepreneurial activity, she wrote a children's book "The Idea of Yaara," which aims to encourage young children, especially young girls, to believe in themselves and their abilities, and to understand that inside each of them there is a "young star-upist." All we have to do is follow our ideas and develop them without fear of the pitfalls on the way. The development of an idea requires perseverance and self-belief, which in Michal's view is self-actualization. Itay Baron - founder of Agree Online - a social network for dispute resolution and agreement building, which allows parties of a dispute to tell their stories and negotiate in an environment based on simplicity, transparency and neutrality. 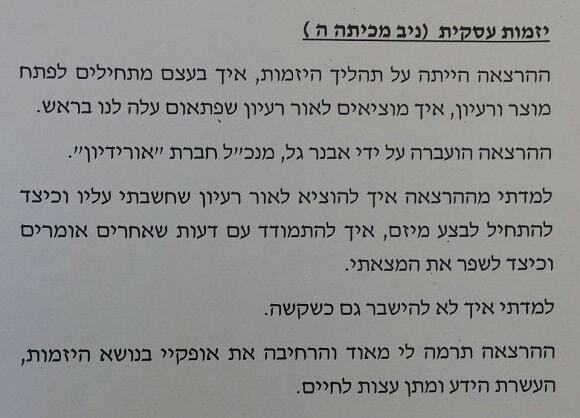 The parties are those who decide on the correct way to resolve the dispute between them, in a process led by a facilitator and with the active assistance of the participants. Agree Online mobilizes the wisdom of the masses in order to offer creative solutions that can be mutually beneficial. 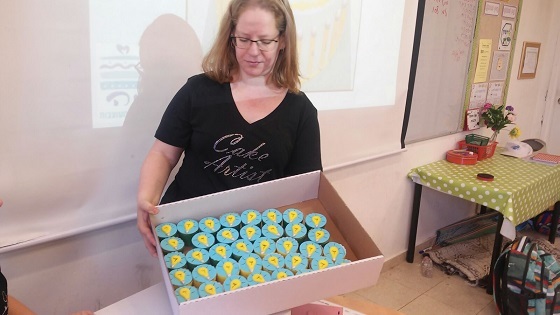 Meir - from "Fat Meir's Kitchen" - Meir is a regular guest entrepreneur at the Global Entrepreneurship Week held in the "Yad Mordechai" School in Bat-Yam, where students enjoy fresh sandwiches every day, which Meir sends to anyone who has forgotten to bring a sandwich to school. 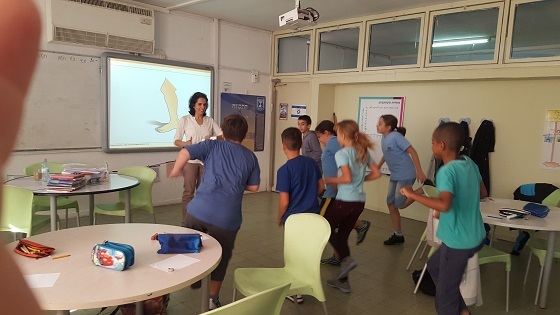 During the Global Entrepreneurship Week, fourth grade pupils from four different classes heard a lecture by Galit Zamler who is the developer of the Entrepreneurship for Kids Program, which the children learn in a weekly entrepreneurship lesson with the instructor, Dina Arkin. ""Today I met the children as a guest entrepreneur. 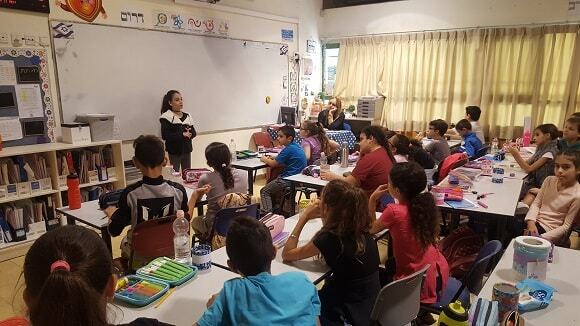 I told them about myself as a business entrepreneur and about the Entrepreneurship for Kids Program, about the difficulties that I faced on the way and how I nevertheless found the way to success. 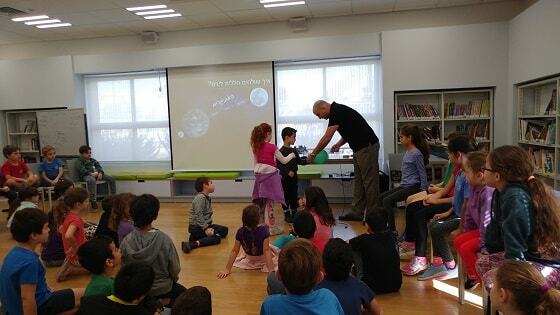 The children were attentive and curious, asked many questions and received answers. The main message was that an entrepreneur encounters difficulties, but when he believes in his project he tries different ways in order to make it succeed, and that children can also be entrepreneurs. They continue to collect the ideas in the boxes of ideas ." 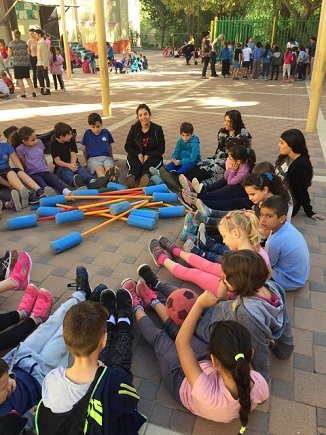 The Kaplan School in Petah Tikva, under the new director Mika Nechushtan, continues as in recent years to mark Global Entrepreneurship Week with a variety of activities for the students. 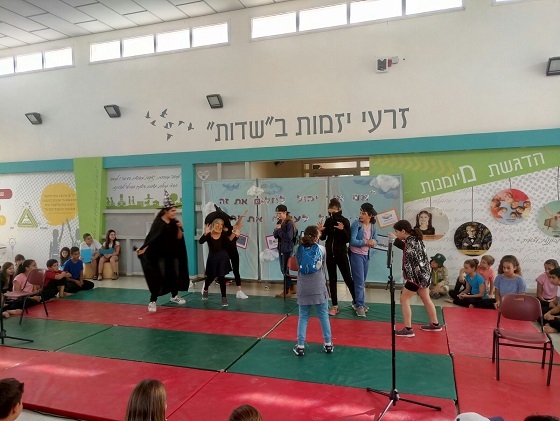 Students watched videos encouraging entrepreneurship, participated in entrepreneurship classes and workshops that encouraged creativity and teamwork, listened to stories that encouraged tolerance for others and heard lectures from guest entrepreneurs. 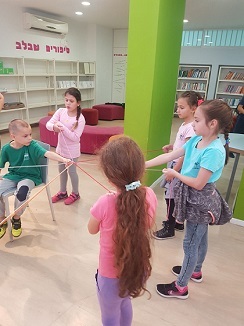 The week opened with the "Hutzot Hayotzer - I am a talented" activity that enabled each child to express his talents in a creative and experiential way. 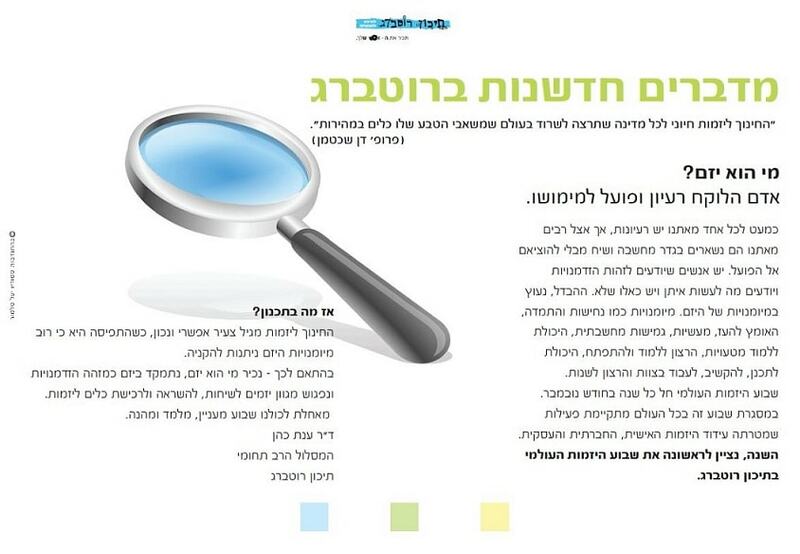 Ronit Meiri - Guide to success, accompanies and helps entrepreneurs focus and succeed. 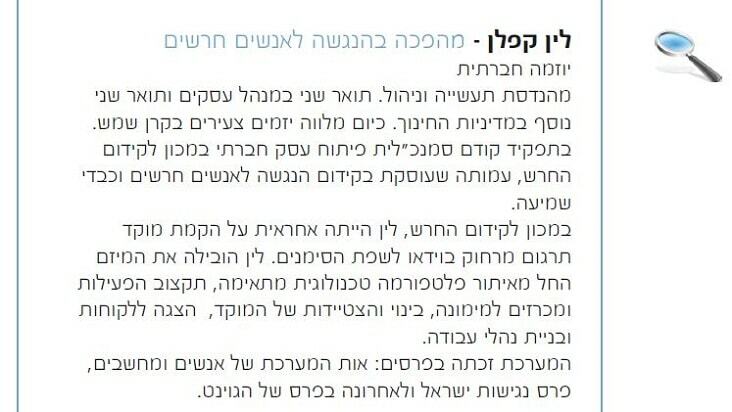 Einat Shamir - Designer and creator of jewelry and accessories from yarns, holds workshops and lectures on the creation of strings. 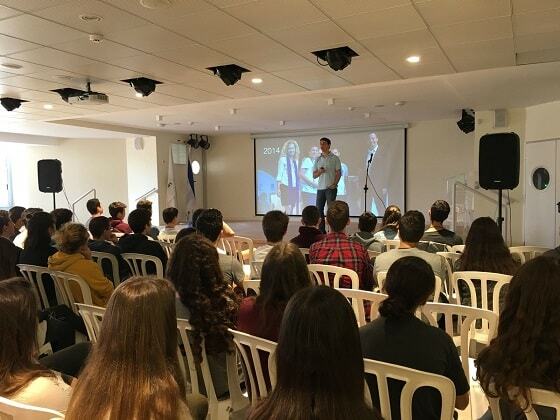 Ran Ne'eman - For years, Ran has been a guest entrepreneur during the Global Entrepreneurship Week at schools and shares his experience as an entrepreneur and a partner in ventures. Ran tries to help students avoid the mistakes that every start-up entrepreneur makes. 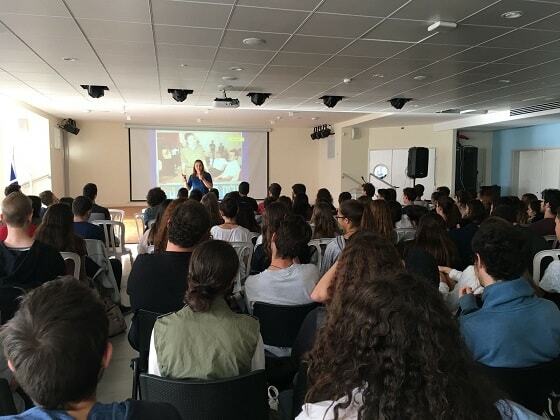 Ayala Geron - Ayala accompanies the Entrepreneurship for Kids Program from the beginning during the Global Entrepreneurship Week, lectures to students about her high-tech occupations, her initiatives in box games, her social initiatives and volunteer activities in her spare time. 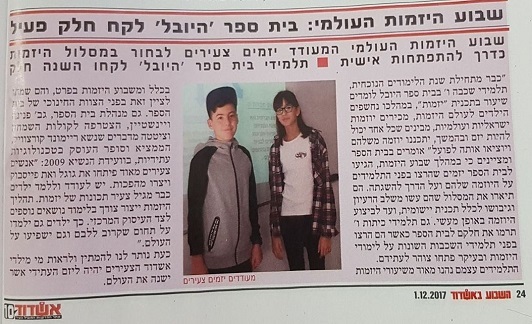 The Korczak School in Ramat-Gan marked for the first time the GEW, on a focused day during which the students were exposed to and inspired by entrepreneurs from various fields. 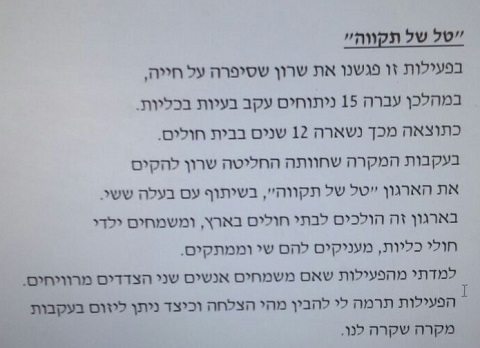 Tamar Ish Kassit arrived as a guest entrepreneur to the Korczak school. Tamar is also a military medic and an industrial designer. She founded the "Cassit Studio" where she develops custom products for people with disabilities. She is also the founder of "Cassit orthopedics", which manufactures medical braces for developing countries. 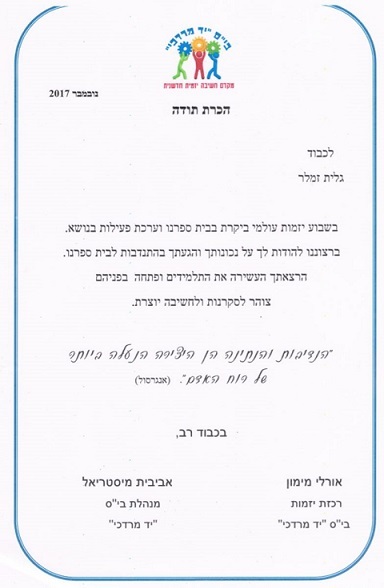 Tamar's many important activities can be read extensively in the Cassit blog. 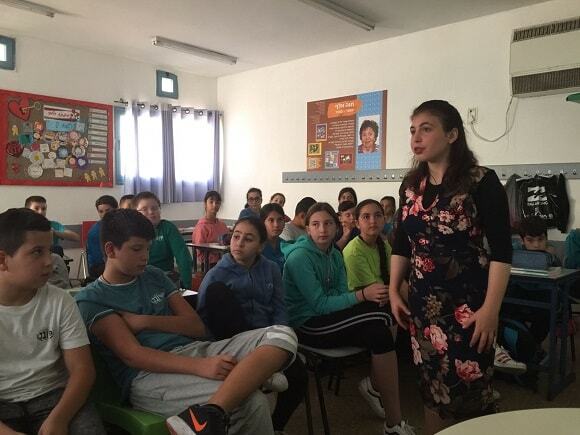 The school planned a hackathon for the 4th and 6th grades, lectures by entrepreneurs for students, a lecture for parents on creative thinking, a lesson on positive thinking in the light of inspirational personalities, a sales day for raising initial capital, and a school exhibition on entrepreneurship. 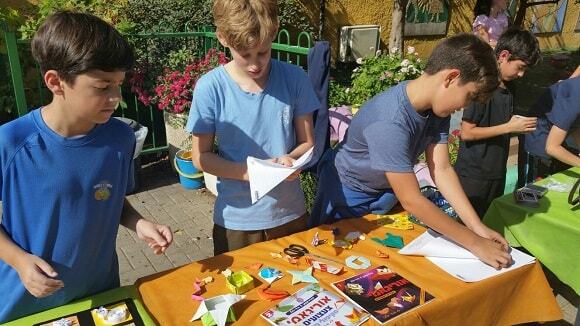 During the Global Entrepreneurship Week, students from the Kiryat Ye'arim School established booths and raised initial capital for their projects. 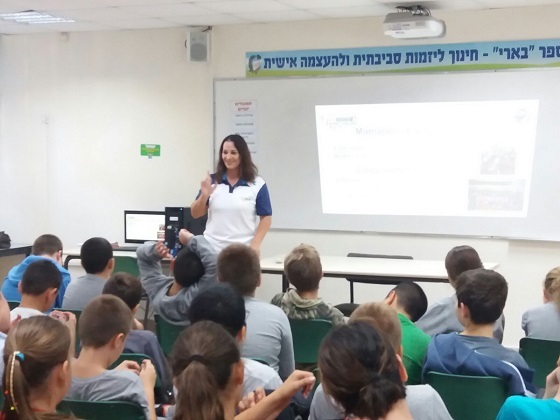 Anat Grimland was invited as a guest lecturer at the school. "Nice to meet, I am Anat Grimland - Legal Counsel and Entrepreneur. 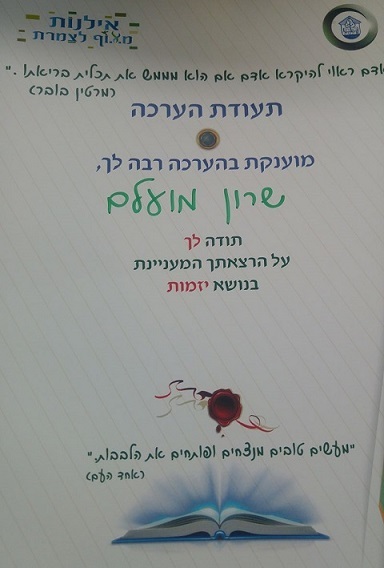 I developed the lecture "Creativity as an opportunity" as part of a project that I initiated in elementary school, where my children study, which aims to give parents tools in creative thinking to create a creative language with children, and through it to solve problems from everyday life. In the lecture, I present a model that I developed in four stages - how to translate the word "creativity" into daily practice. 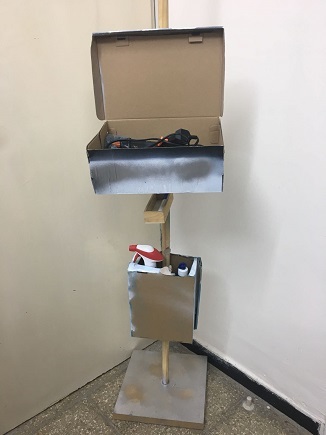 Through examples of everyday life and with the participation of the audience, the participants embark on practical tools for creative activity as part of the routine. 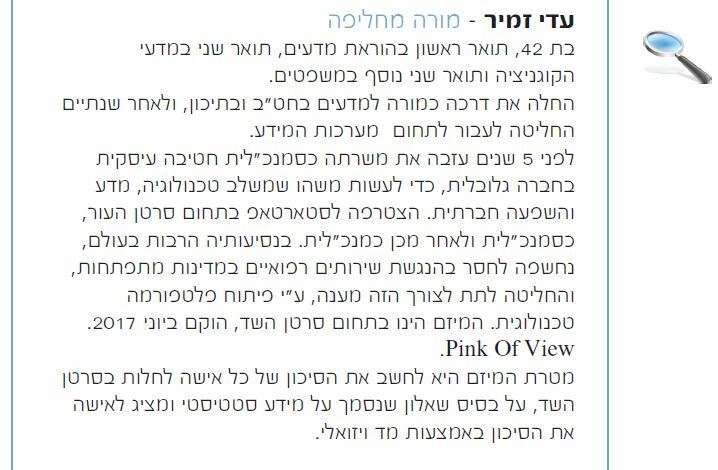 More than 400 people listened to the lecture (at Harel Insurance Company, at Sapir College and at various events), and each time I enjoy talking about it. 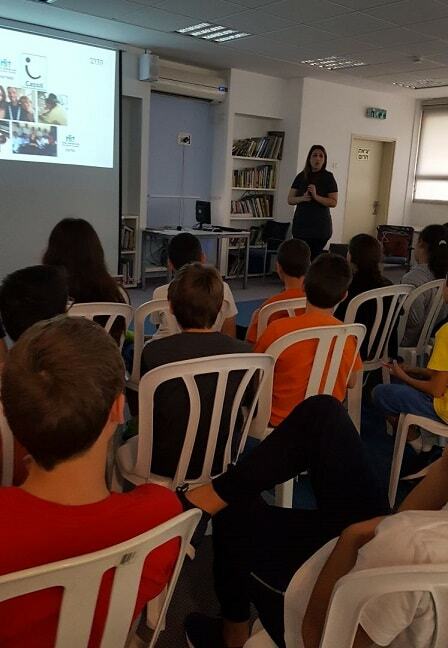 You can contact me by email and call 052-8562166 "
The entrepreneur Sheli Goldenberg shared the fourth and sixth graders with a lecture on "Green Entrepreneurship". 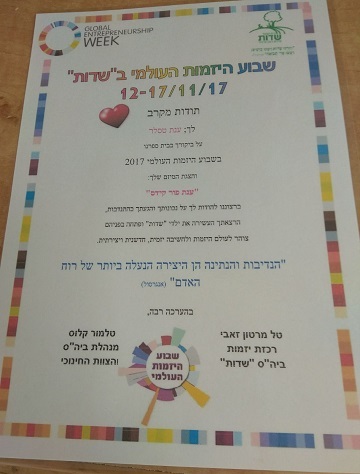 The Rothberg High School in Ramat Hasharon marked, for the first time, the Gloal Entrepreneurship Week with a variety of lectures for all the school's students. 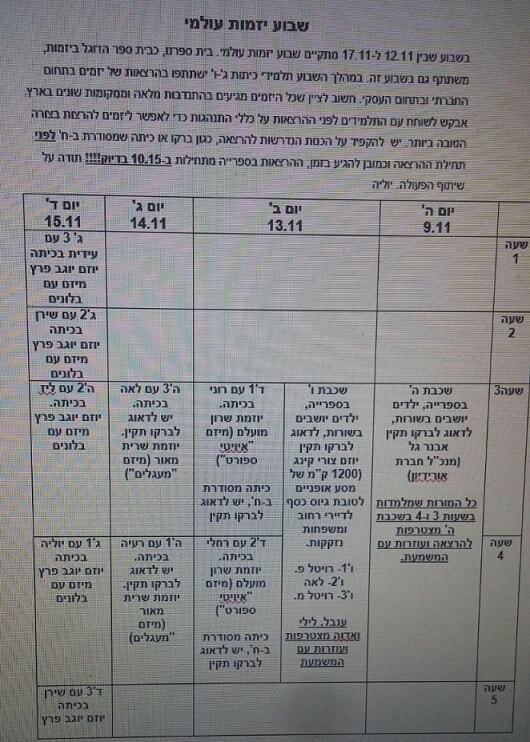 This file attachment with Global Entrepreneurship Week events in the high school. 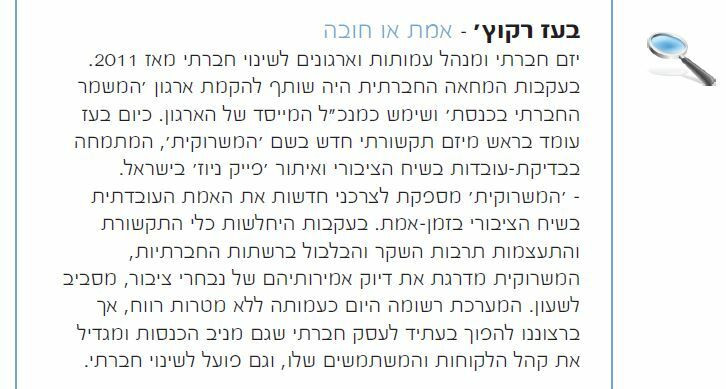 Shai Novik - In a lecture on "What is the difference between pessimistic and optimistic?" Out of 10 years of experience. Gilad Gans - Lecture on "Start Up - A recipe for success or failure"
Galit Zamler in a lecture on "Entrepreneurship - Anyone Can"
Boaz Rakocz - In a lecture called "Truth or Dare"
Lin Kaplan - In a lecture on "Revolution in Accessibility for Deaf People"
Ofra Abramovitch - Founder of "Mamanet" in a lecture on "Women Entrepreneurship - Is There Such a thing?" "I started programming at the age of 9, self-taught via the Internet. At the age of 13, I started programming and at the age of 14, I ran a team of programmers for the first time. My last job was with a company called EasyWay, where I headed the development team involved in the field of artificial intelligence." 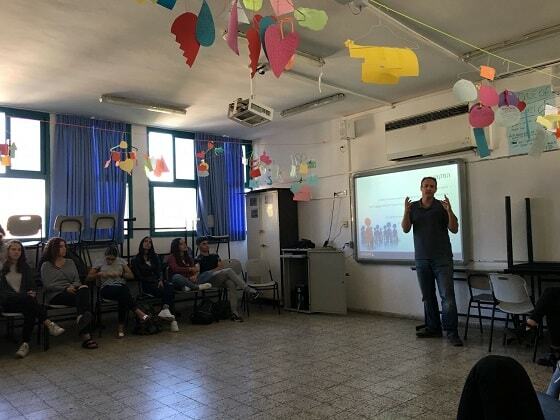 Roi Ashkenazi in a lecture on "entrepreneurship is a matter of character"
Alice Miller in a lecture on "Connect to the Heart and Follow the Dreams"
For several years, the Sadot School has been marking the Global Entrepreneurship Week, and this year as well. 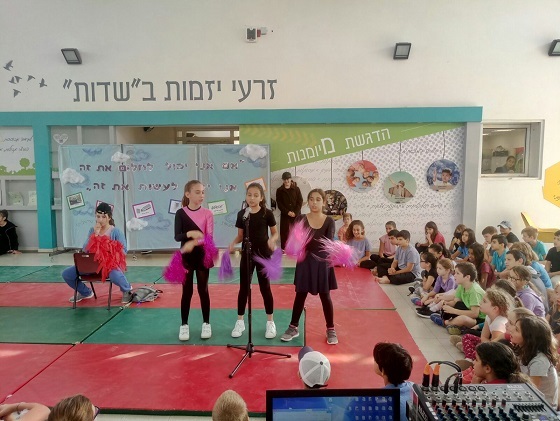 The school conducts a school ceremony, entrepreneurship classes, lectures by guest entrepreneurs who tell students about the process they have undergone so far and experiential outdoor activities for students. Na'ama Shorer - told third graders about her entrepreneurial process in opening a business for designed cakes, about the courage to change a profession out of a desire to do what she loves. 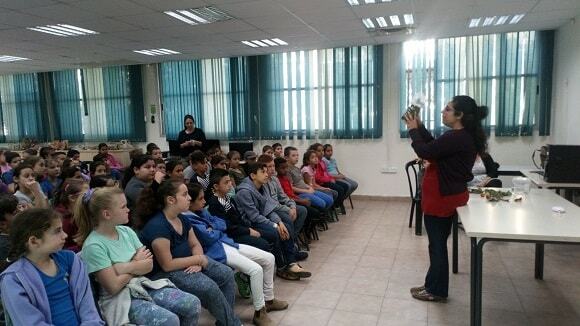 Einat Cohen - Lecture for third graders on natural pharmacology. 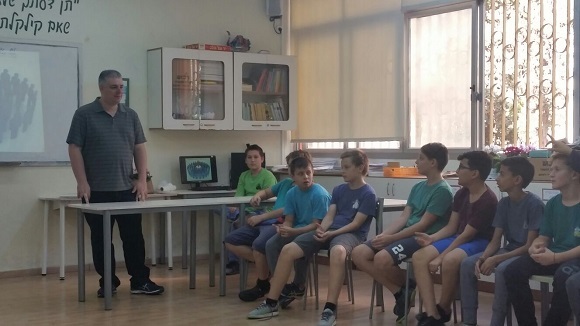 Yonatan Karni - Lecture for 6th graders on the House of Wheels. 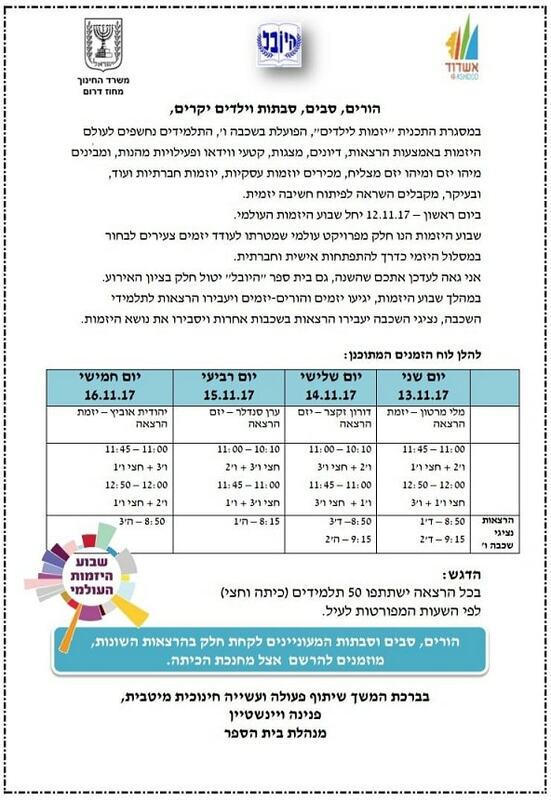 Tamar Rosenberg - Lectures for 1st, 2nd and 4th grade students named Tami Mami. 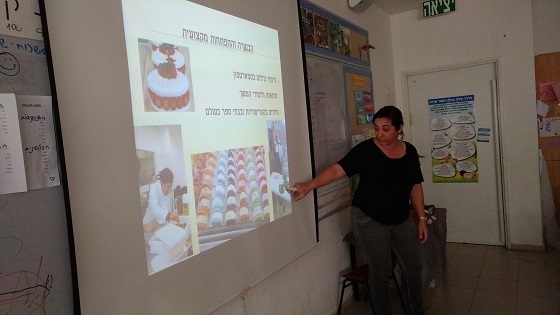 Shai Cohen - shared first-graders on food entrepreneurship. 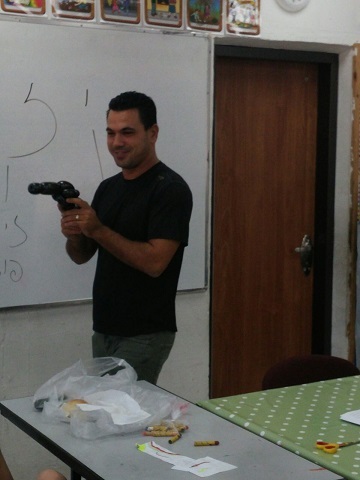 Omri Gilboa - told second graders about the invention of drips. 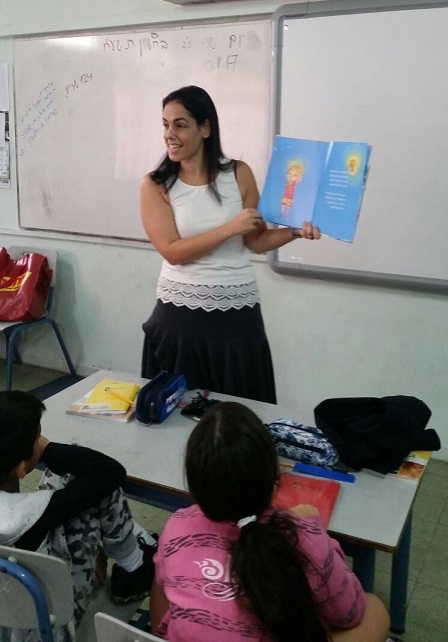 Sigal Sabag - told second graders about Sigalita, her project. 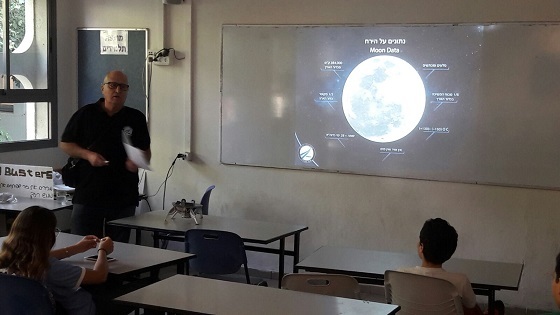 Amir Shemesh - a volunteer of the SpaceIL spacecraft shared the first-graders with the vision to land the first Israeli spacecraft on the moon, and possibly win the prize that Google offers. 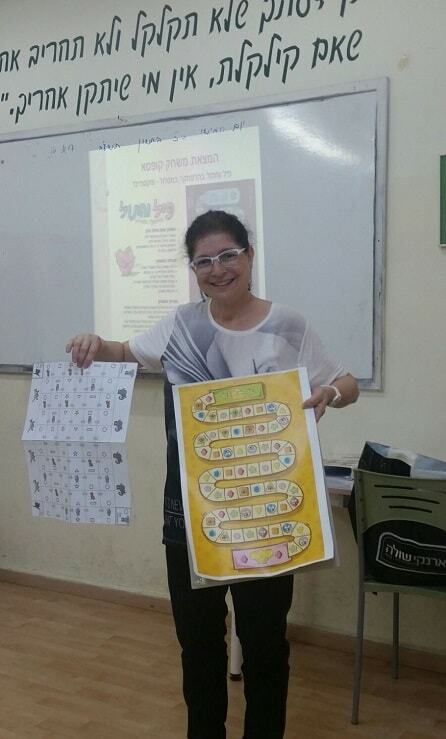 Anat Tessler - Activity for 2nd graders named Anat Por Kids. 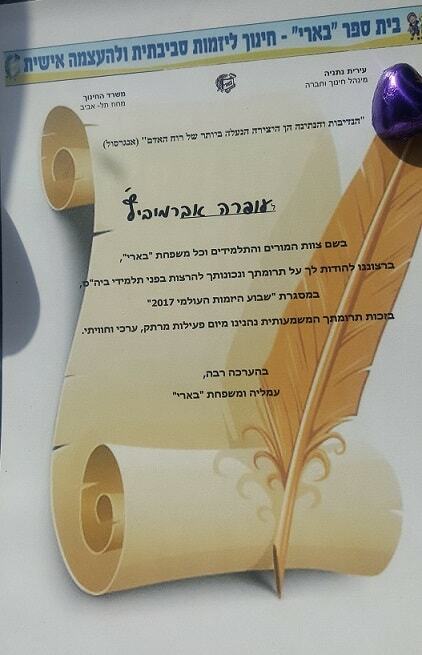 All the guest entrepreneurs received a certificate of appreciation from a school like this one, which Anat received. 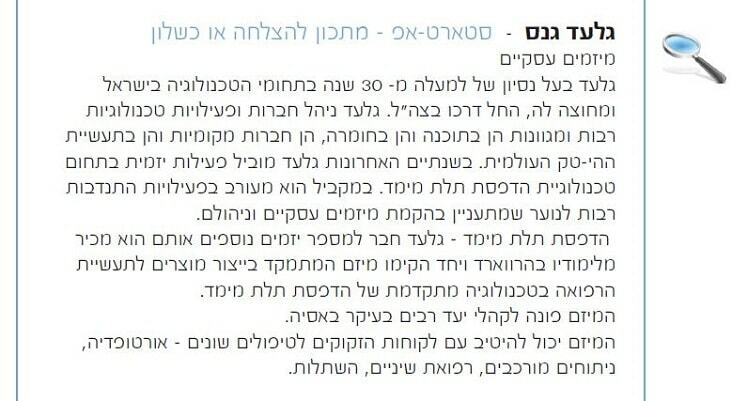 Tal Bensman - Tal has an autistic child who drew paintings of animals when he was young. She kept them and when he grew up, she founded a hostel for him and his friends, where they prepare objects with the same paintings he had painted as a child and sell them, and in doing so she provided him with employment in his adulthood. Vadim Drabkin - shared the importance of opinions for small businesses with fourth graders and how they can collect them. Danny Barko - Danny invented a flight simulator, showed videos and explained how he invented it and how it works. 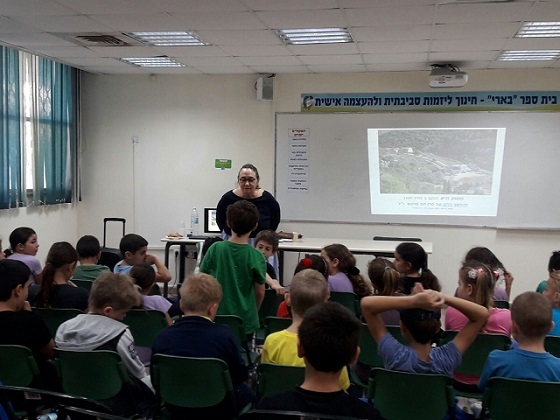 Limor Zevulun - Lecture for the third grade on coexistence. 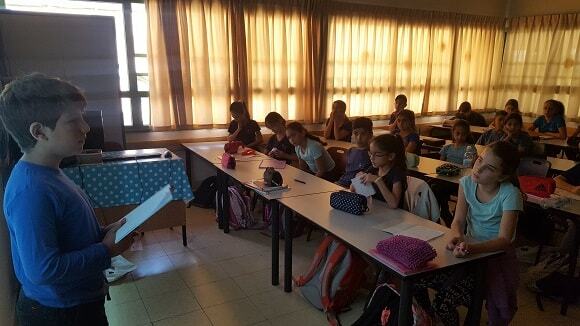 Eran - Lecture for fourth graders on Iron Dome. To learn more about events from other years' Global Entrepreneurship Week click here.